A new fiber-based self-starting mode-locked laser system that generates a linearly polarized nearly transformed-limited 200 fs pulses at a repetition rate of 80 MHz with an average power of 1W is on the horizon. January 26, 2018 – Montreal: MPB Communications has developed a new generation of high-power Mode Locked Fiber Lasers that operate at the 920 nm and 1190 nm spectral range - which is traditionally covered by ultrafast Ti:Sapphire lasers and optical parameteric oscillators. MPB’s new Femtosecond Fiber Lasers are more compact and efficient, while offering parameters close to those of traditional solid state lasers. The 920 nm and 1190 nm are made up of two modules: 2RU pump module 440 x 343 x 92 (mm), and the Femtosecond Fiber Laser - 284 x 324 x 116 (mm). 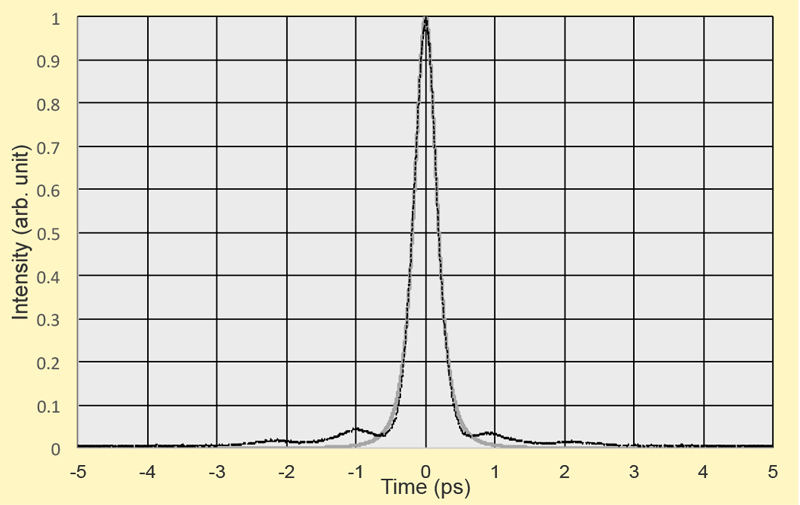 The Femtosecond Fiber Lasers generate linearly polarized nearly transformed-limited pulses with a pulse duration of 200 fs, at a repetition rate of 80 MHz, and an average power of 1 W.
Compact and maintenance-free, the lasers are fiber-based, have a very good beam profile, and do not require optical alignment. MPB Communications manufactures a variety of passively mode-locked fiber lasers (MLFL) that are designed to address a range of important applications such as micromachining, metrology, and multi-photon spectroscopy. MPB’s series of MLFLs are highly reliable (10,000 hrs), maintenance-free, compact, and simple to operate—which make them very attractive for applications traditionally occupied by conventional ultrafast lasers. The Femtosecond Fiber Laser is a natural product extension for MPB, with its extensive suite of Visible Fiber Lasers developed for the Microscopy industry, and its existing line of Picosecond Pulsed Mode Locked Fiber Lasers. The development of the Femtosecond Fiber Laser was driven by the need from the biological and medical application fields for more compact, reliable, maintenance-free femtosecond fiber lasers that could replace conventional solid-state laser systems. Multiphoton microscopy, for example, uses the two-photon absorption nonlinear process and thus requires a very high photon. It is well know that the quantity of detected photon flux and the penetration into biological samples is dependent on a laser’s operational spectral range, average power, pulse width, and beam profile. The development of a compact high-power femtosecond fiber lasers at ~900 nm and ~1190 nm spectral range has tremendous potential for these applications. MPBC is a leading supplier of innovative, high performance fiber laser and fiber amplifier systems and subsystems to the international high tech industry. The head office, research laboratories and manufacturing facilities are located in Montreal, Quebec. The company is privately held and self-financed. It has maintained its technological leadership through an on-going commitment to R&D, investing approximately 20% of annual revenues back into research and development. MPB Communications Inc. is a Certified Women’s Business Enterprise, and part of the WEConnect International’s Global eNetwork.